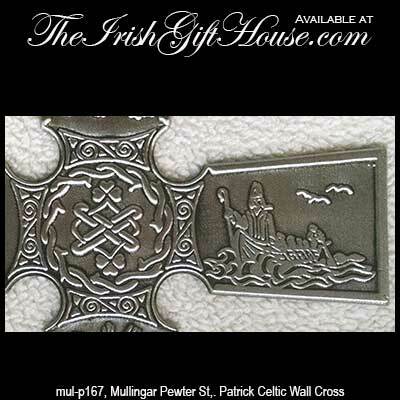 Celtic wall crosses for your home represent one of the oldest examples of Christianity in Ireland. 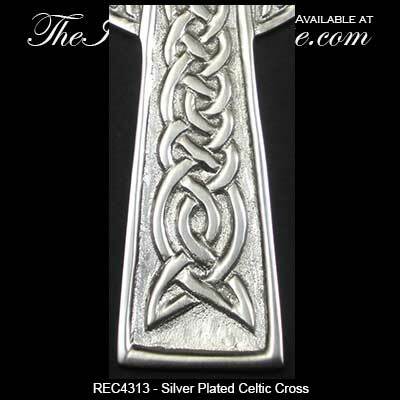 A Celtic wall cross will make a thoughtful Irish gift for newlyweds or for new home owners. 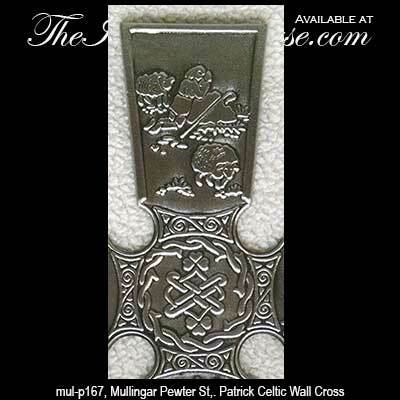 With over 60 Celtic crosses for the wall in stock, in most every size and color, The Irish Gift House most likely has the perfect Irish gift for every occasion as well as for collectors. Crafted in materials that range from brass to wood along with pewter and china you may also wish to consider a Celtic cross as a gift for those making their First Holy Communion or Confirmation along with graduations too. 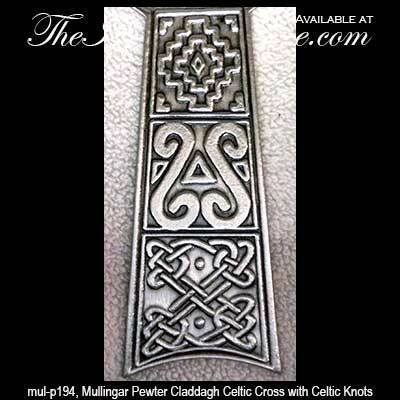 Celtic wall cross is a large metal design with green filigree knot-work. Celtic wall cross is a multi-colored metal design that features a spiral in the center. 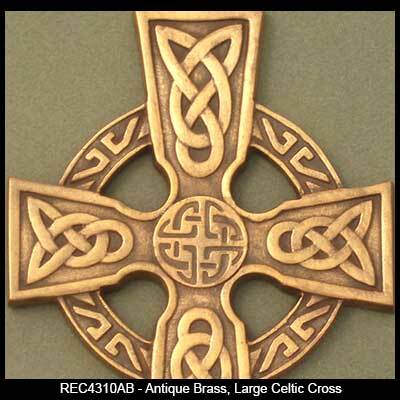 Celtic wall cross is a large metal design that features a laser cut knot motif along with a multi-color finish. 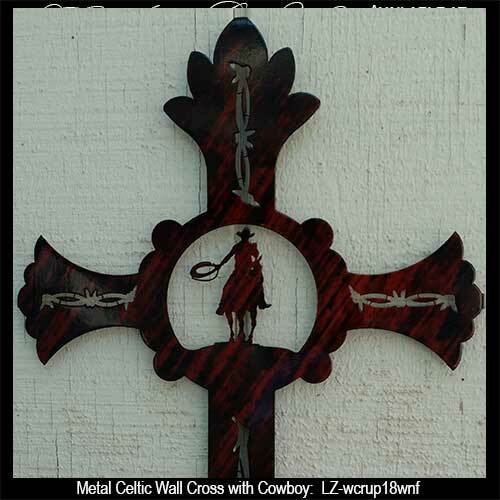 Celtic wall cross features a variegated metal design that is enhanced with a cowboy in the center. 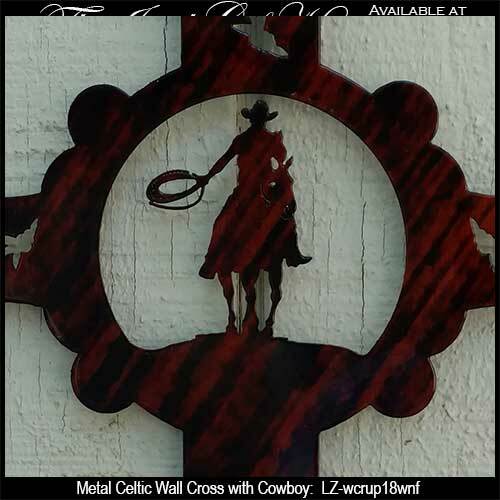 Celtic cross for the wall features variegated color metal construction that is enhanced with a western motif of cowboys center. 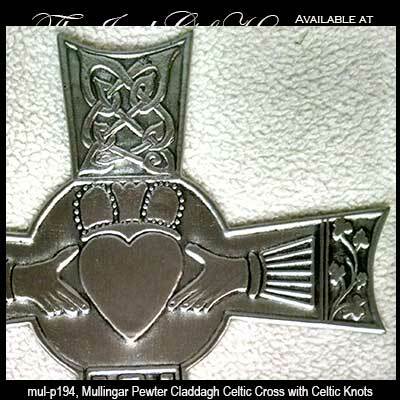 Pewter Celtic wall cross features the Claddagh along with shamrocks and knot-work. 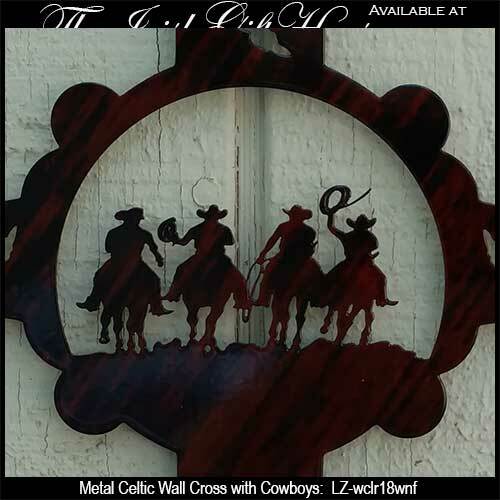 Celtic wall cross is a rustic metal design that is made from real horseshoes. 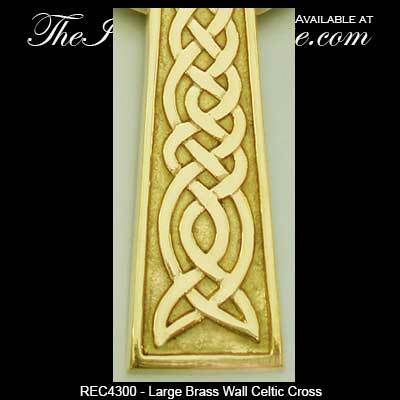 Celtic cross for the wall is a large brass design that features embossed knot-work. 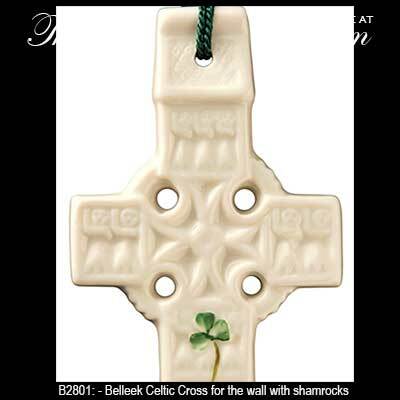 Belleek Celtic wall cross is crafted of fine Irish china that is enhanced with green shamrocks along with an embossed motif. 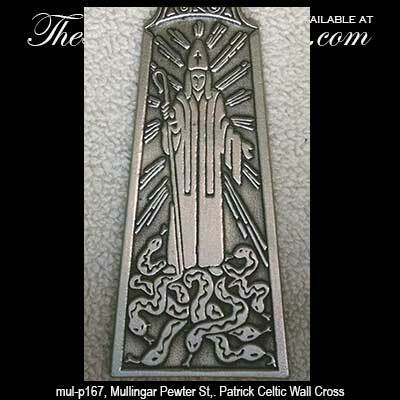 Pewter Celtic wall cross illustrates the life of St. Patrick and is enhanced with shamrocks and Celtic knot-work. 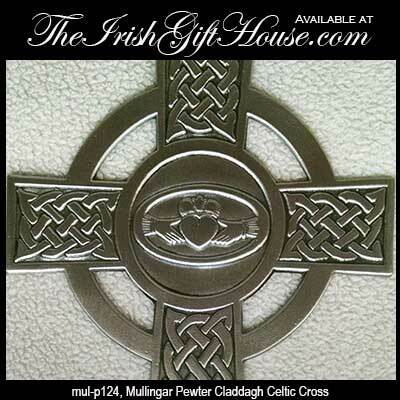 This pewter Celtic wall cross features the Claddagh in the center and is enhanced with embossed Celtic knots in the arms. 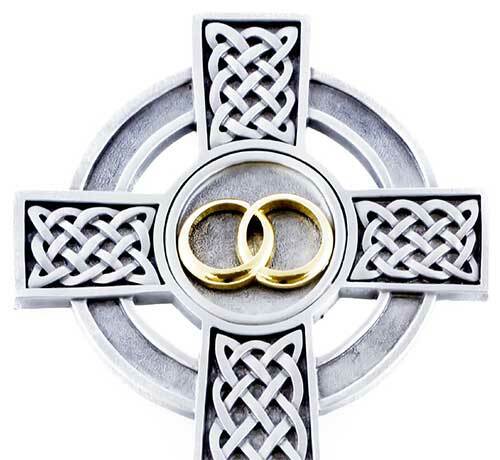 Irish wedding cross features sold pewter construction along with intertwined rings and embossed Celtic knot-work. 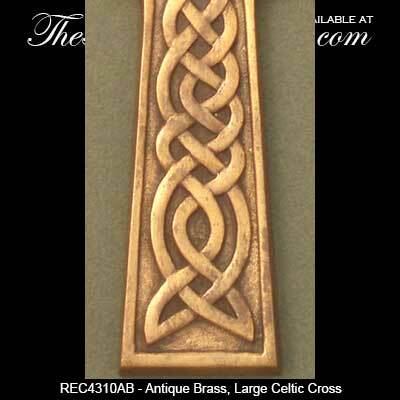 Celtic wall cross is made of seven different types of layered wood. Celtic wall cross is a wooden design that features Trinity knots. Wooden Celtic cross is enhanced with carved Trinity knots along with a knot-work motif in the center. 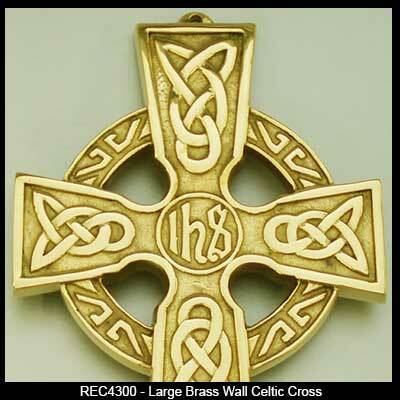 Celtic cross for the wall features solid brass construction that is enhanced with black enamel accenting. 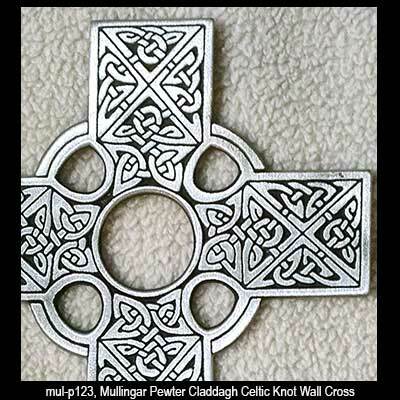 Celtic Crucifix for the wall features pewter construction that is enhanced with a filigree knot-work design. 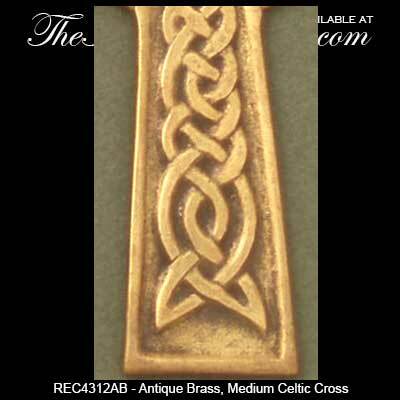 Brass Celtic wall cross with embossed knot-work features an antiqued finish. 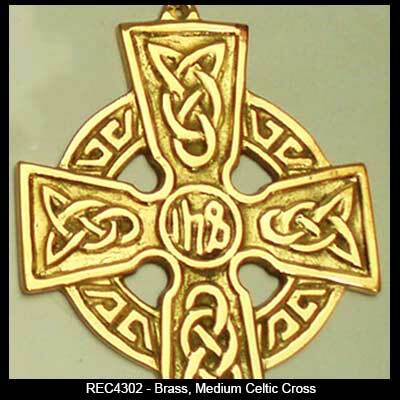 Celtic wall cross in solid brass is enhanced with knot-work along with the Greek monogram symbol for Jesus Christ in the center. 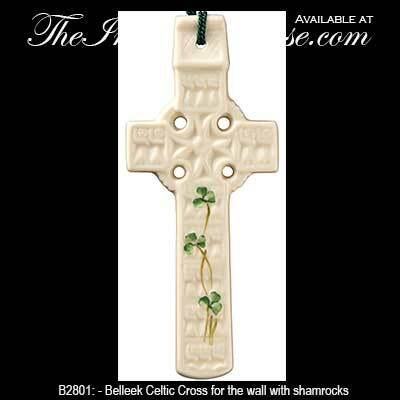 Celtic wall cross features an Irish kitchen blessing along with with shamrocks and a dimensional design. 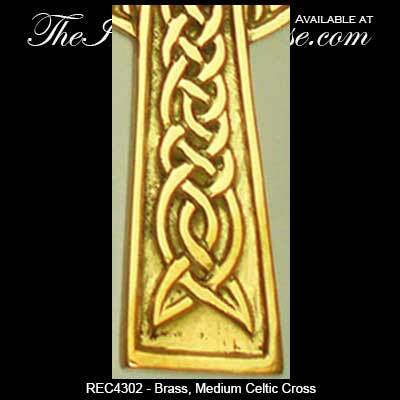 Brass Celtic wall cross features an embossed knot-work motif that includes the Trinity. Please take a look at our standing Celtic crosses for additional gift ideas. 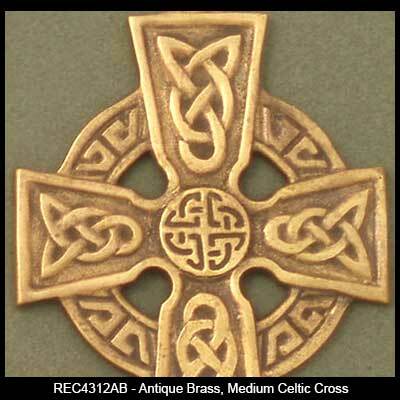 You may also wish to look at our Celtic cross gift page where you will find an eclectic range that includes ornaments and key rings. 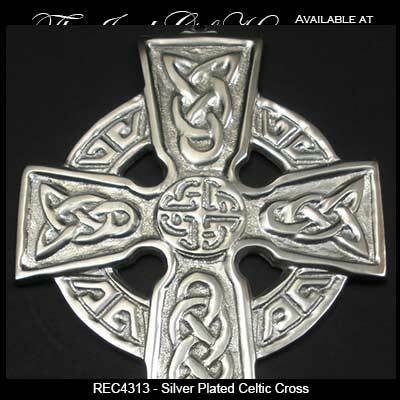 If you are looking for jewelry please consider the silver Celtic cross necklaces and the men's Celtic cross necklaces from among the several related categories that we offer at The Irish Gift House.